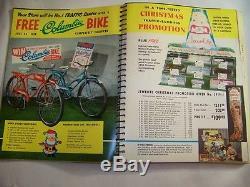 VINTAGE 1959 DEALER XMAS CATALOG! 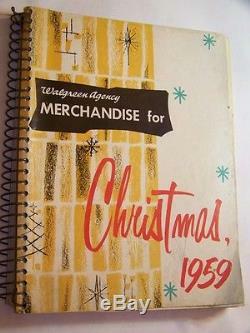 A terrific collectible - A WALGREEN AGENCY CHRISTMAS CATALOG! 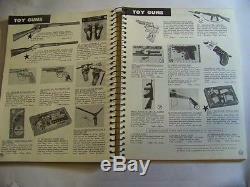 250+ PAGES , 8 1/2" x 11". 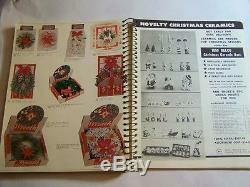 SPIRAL BOUND, SOFTCOVER AMAZING DEALER'S CATALOG WHOLESALE PRICES! NOT FOR THE GENERAL PUBLIC! 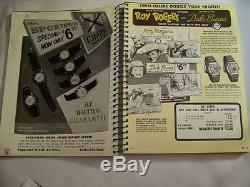 TOYS GUNS ROY ROGERS & DALE EVANS WATCHES CHARACTER WATCHES, SUPERMAN, ROBIN HOOD, BASEBALL & MORE TOYS FOR ALL AGES. 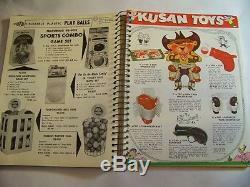 KUSAN TOYS ANDY GARD TRUCKS PRESCHOOL TOYS GAMES PUZZLES CLOCKS FLASHLIGHTS CAMERAS WALLETS BRIEFCASES PIPES LIGHTERS PHONOGRAPHS PENCILS RECORDS. COLOR & BLACK & WHITE PICTURES, MOSTLY BLACK & WHITE. 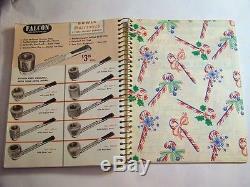 1000s OF ITEMS, EACH WITH A PICTURE & WHOLESALE PRICE SOME SHOW DEALER PROFIT. 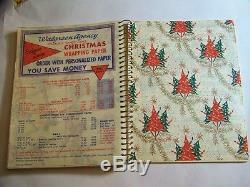 THE COVER HAS MINOR WEAR & TEAR, THE INTERIOR IS IN GOOD SHAPE. IT HAS SIGNS OF USE & AGE. 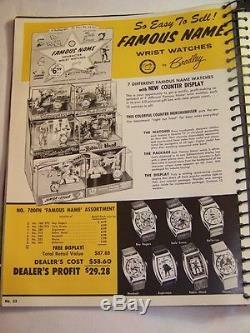 THIS CATALOG HAS ITEMS FOR INDEPENDENT STORES THAT CARRIED WALGREEN ITEMS. YOU MAY NEVER FIND ANOTHER LIKE IT! 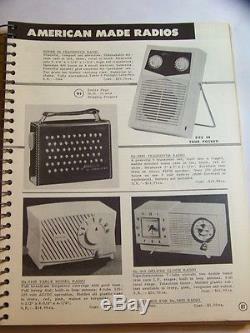 The item "VINTAGE 1959 DEALER XMAS CATALOG! 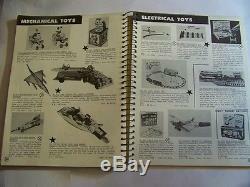 KUSAN TOYS/ANDY GARD/GUNS/XMAS LIGHTS/WREATHS" is in sale since Saturday, April 7, 2012. 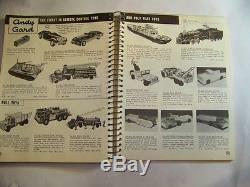 This item is in the category "Books\Catalogs\Toys & Hobbies". The seller is "litzker" and is located in Charlotte, North Carolina. This item can be shipped worldwide.